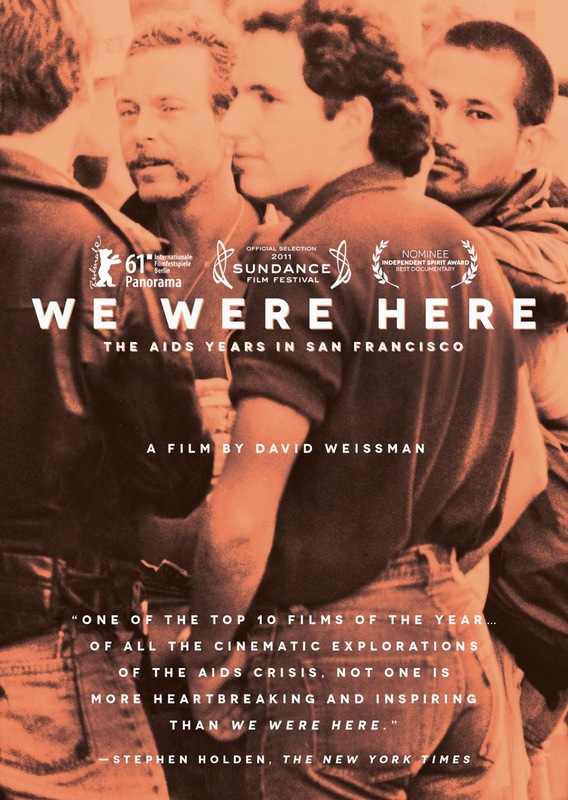 Gay Central Valley: EVENT: FREE Film At UU Church "We Were Here"
A Documentary film by David Weissman about the Early Days of the AIDS Epidemic. Friday, June 13, 2014, 7:00 p.m.
WE WERE HERE documents the arrival in San Francisco of what was then called the "Gay Plague" in the early 1980s. It illuminates the profound personal and community issues raised by the AIDS epidemic, as well as the broad political and social upheavals it unleashed. Early in the epidemic, San Francisco's compassionate, multifaceted, and creative response to AIDS became known as "The San Francisco Model." The city's activist and progressive infrastructure that evolved out of the 1960s helped overcome obstacles in a nation both homophobic and lacking in universal healthcare. San Francisco mirrors the experience of so many American cities during those years. In its response, The San Francisco Model remains a standard for attaining a healthier, more just, and more humane society. WE WERE HERE extends beyond San Francisco and beyond AIDS itself. The epidemic roiled San Francisco for two decades, and only began to ease its grip with medical advancements in the late 1990s. Though thousands are still living with HIV, and new infections continue at an alarming rate, the relentless suffering of the '80s and '90s has given way to a kind of calm and a certain degree of willful amnesia. What lessons do the early years still offer us? We Were Here focuses on five individuals. Their lives changed in unimaginable ways when their beloved city changed from a hotbed of sexual freedom and social experimentation into the epicenter of a terrible and largely mysterious plague. From their different vantage points as caregivers, activists, researchers, as friends and lovers of the afflicted, and as people with AIDS themselves, the interviewees share stories that are not only personal, but that also illuminate the much larger themes of that era: the political and sexual complexities, the terrible emotional toll, and the enormous compassion and heroism of the gay community in caring for and fighting for their gay brothers.